These solutions are safe for cells, with comparably low cytotoxicity. Unlike other antibiotic treatment methods, the mycoplasma does not develop resistance to these antibiotics. 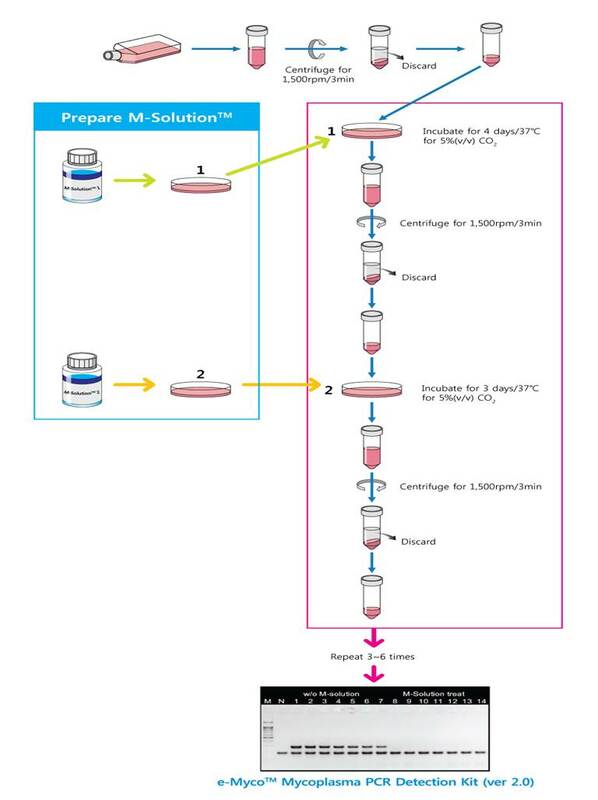 M-Solution™ 1 and M-Solution™ 2 are used sequentially over a period of 1 week and the cycle is repeated 2-3 times as required. Mycoplasmas are permanently destroyed within 3 weeks.